The next three Princess Cruises ships to feature wearable Ocean Medallion technology for passengers have been revealed. Golden Princess (November 2018), Crown Princess (November 2018) and Ruby Princess (January 2019) join four other Princess ships scheduled to use the system. Regal Princess will be the first from November 13, followed by Royal Princess on January 19, 2018, Caribbean Princess on March 18, 2018 and Island Princess on May 16, 2018. Golden Princess returns to Melbourne from October 2018 to April 2019 with departures to South Pacific, Tasmania, South Australia and New Zealand. Crown Princess will feature Ocean Medallion for the autumn 2018 Caribbean season. With this news, all Princess Cruises Caribbean cruisers will experience Ocean Medallion. Ruby Princess will be sailing from Los Angeles for a season of West Coast cruising in early 2019. Jan Swartz, group president of Princess Cruises and Carnival Australia, said: “With the addition of Golden Princess to the fleet of Medallion Class ships, we will make available a more personalised holiday to guests sailing in and around Australia. Ocean Medallion goes beyond the growing number of wearables used by theme parks and other holiday companies by leaving behind the required action of ‘tap’ and “ushering in a new paradigm for guest interactions,” Carnival Corporation claims. Norwegian Cruise Line’s first ship purpose built for Chinese passengers was officially named in Shanghai yesterday. The 3,883-passenger Norwegian Joy is the first cruise ship to feature a two-level go-kart track. Other elements of the ship include an open-air laser tag course, the Galaxy Pavilion featuring simulator rides, Oculus virtual reality technology, interactive video walls and two multi-story waterslides. Norwegian Joy has 28 dining options ranging from traditional Chinese cuisine to French, Italian and steakhouse fine dining restaurants, an open space park, as well as the line’s largest shopping area. 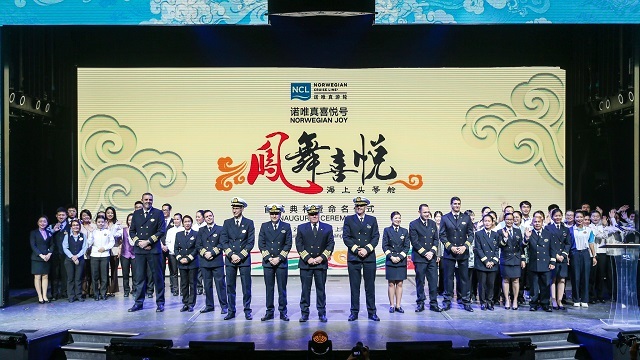 The christening marked the end of a month-long grand inaugural tour where the 167,725–gross-ton ship was showcased in Singapore, Qingdao, Shenzhen and Hong Kong, as well as VIP partner cruises from Norwegian Joy’s homeports of Shanghai and Tianjin. Norwegian Cruise Line Holdings president and chief executive Frank Del Rio said: “After years spent carefully designing this amazing vessel, my team and I are both proud and thrilled to finally christen the world’s first cruise ship custom-designed for the wonderful people of China. The naming ceremony featured a performance by the ship’s godfather, Chinese singer songwriter, music producer, actor and film director, Wang Leehom. The Flying Clipper will be delivered in the first quarter of 2018, as the delivery of the newest Star Clippers’ ship has been pushed back from August 2017. 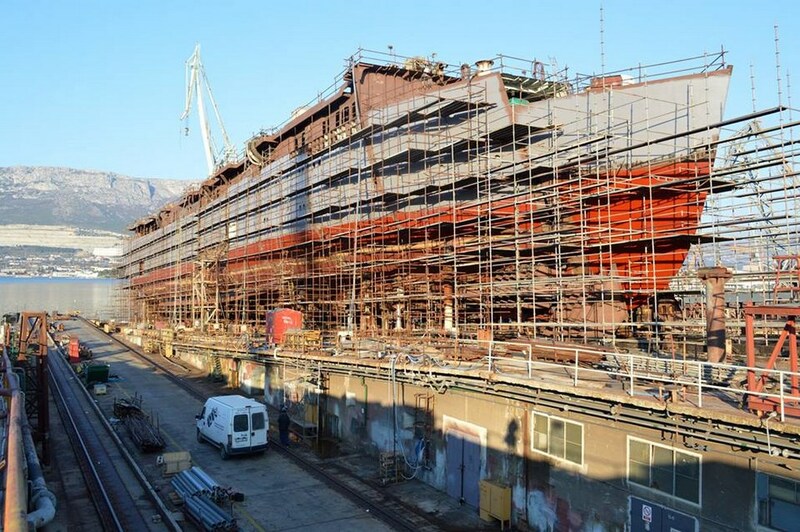 A spokesperson from Brodosplit, the shipyard in Croatia building the unique 300-passenger sailing vessel, confirmed the updated delivery date in an email to Cruise Industry News. “Brodosplit has been recognized as one of the few shipyards that are capable for building such unique ship, from the design phase, building and fitting it with complex equipment and luxury interiors. Estimated time of delivery is the first quarter of 2018,” said the spokesperson.